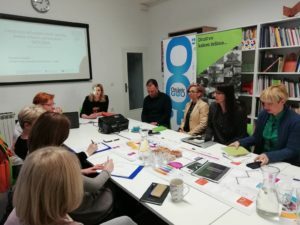 Within the project Integration of third country nationals through urban partnerships – #INTEGRA, on 26th of March, Centre for Peace held a meeting of the Integration Group of stakeholders. 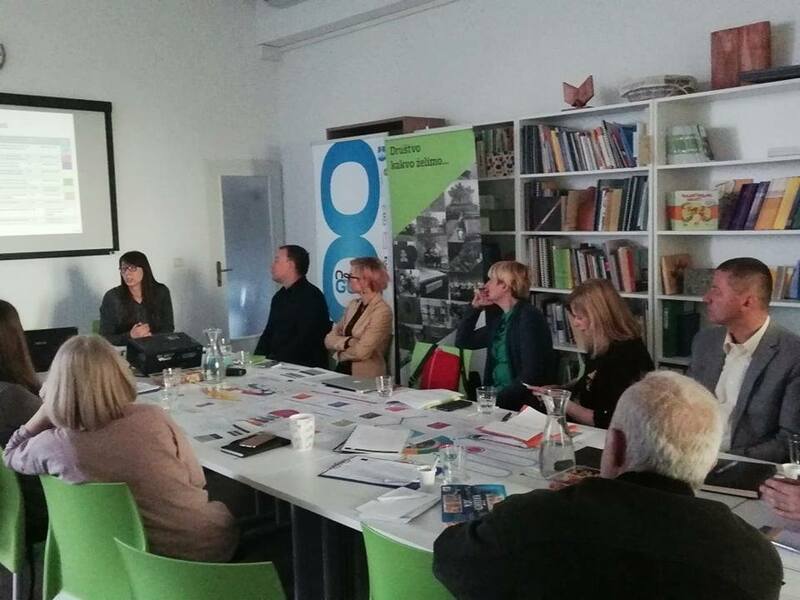 The activities carried out so far and the Local Integration Plan in Osijek were presented. During 2019, based on this plan, we will conduct advocacy and raising awareness activities connected to this issue at national and EU level. 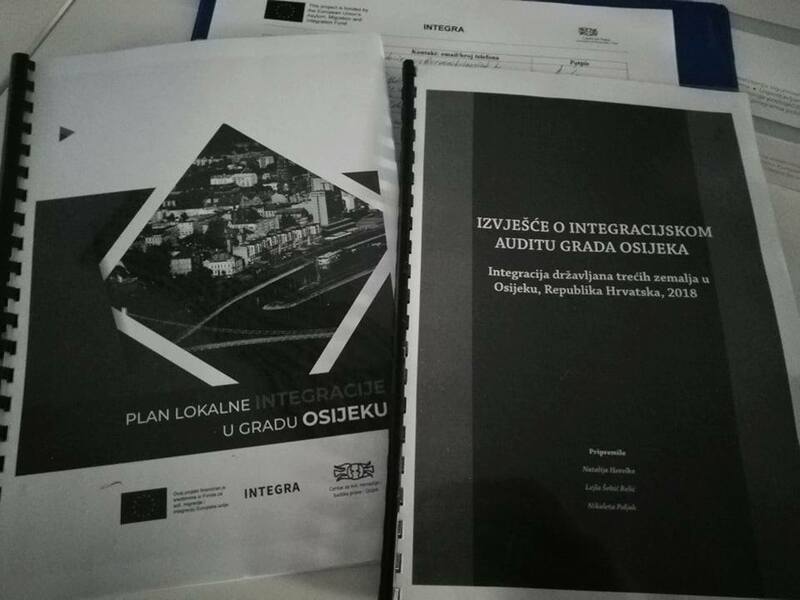 The aim of INTEGRA is to assist in the process of long-term integration of third-country nationals in Bulgaria, Croatia, the Czech Republic, Italy and Slovakia by sharing knowledge and experience among the cities of these countries. Although the state is primarily responsible for implementing integration policies, cities also play an important role in fostering cooperation between all relevant stakeholders and creating a favorable environment. 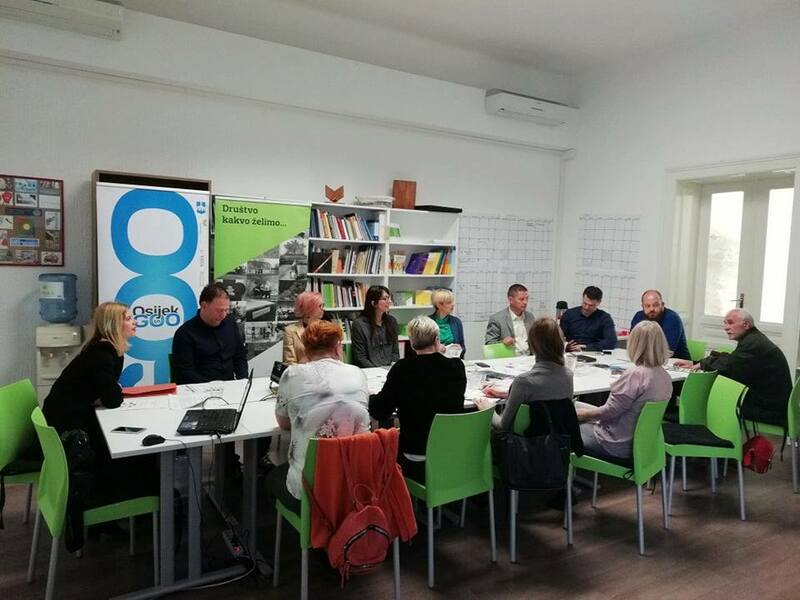 Civil society representatives, alongside the City of Osijek, the Osijek-Baranja Police Administration, the Croatian Employment Service and the Office of the Ombudsperson for Children representatives participated at the meeting. 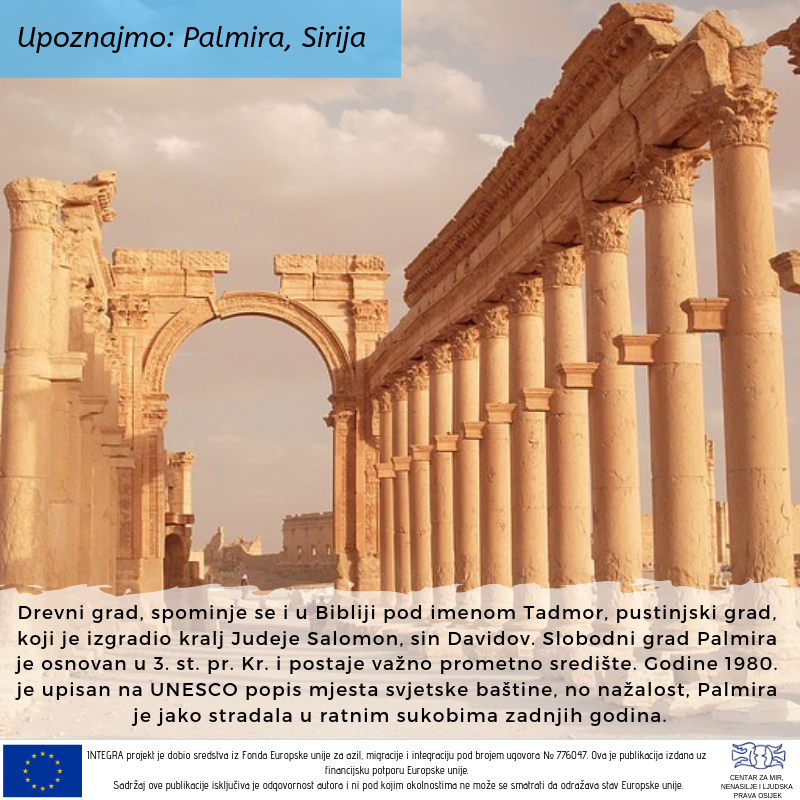 As part of the project INTEGRA - Integration of Third-country Nationals Through Urban Partnerships, the Croatian partner Centar za mir is running an online campaign, part of which includes presenting preserved parts of the old civilizations through architecture and history. In focus March 19 is the city of Palmyra in Syria. Palmyra is an ancient desert city, also mentioned in the Bible (called Tadmor), built by the King of Judea, Solomon, son of David. The free city of Palmyra was founded in the 3rd century BC and became an important traffic hub. In 1980 it was admitted to the UNESCO World Heritage list, but unfortunately, Palmyra has been greatly affected by the war in the past years.